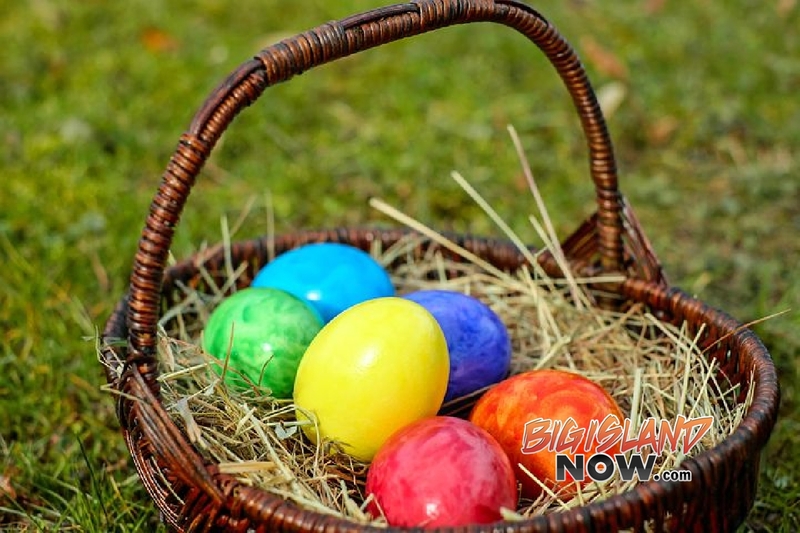 Children from age 2 to 11 can enjoy the fun of searching for over 2,000 plastic eggs during the Fourth Annual Free Easter Egg Hunt on Saturday and Sunday, March 31, and April 1, 2018, at Botanical World Adventures, 16 miles north of Hilo. The egg hunt starts at 10 a.m. each day. Children will gather the eggs then turn them in for candy or prizes. 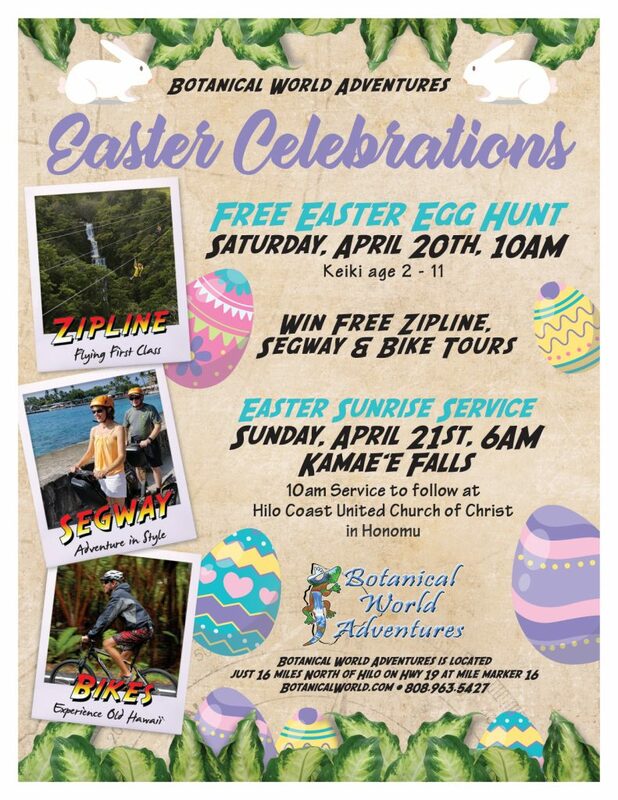 Admission to the World Botanical Gardens attraction at Botanical World Adventures is free for children and families attending the egg hunts. 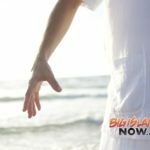 A special Sunrise Service by the Hilo Coast United Church of Christ will also take place at Botanical World on Easter Sunday from 6 to 6:45 a.m.
“All are welcome,” said Nixon. 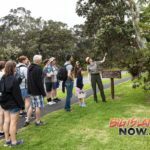 “The service will be at the Kamae‘e Falls overlook here at Botanical World and we have easy to access to a tent in case of rain. Botanical World Adventures is located at mile marker 16 on Highway 19. 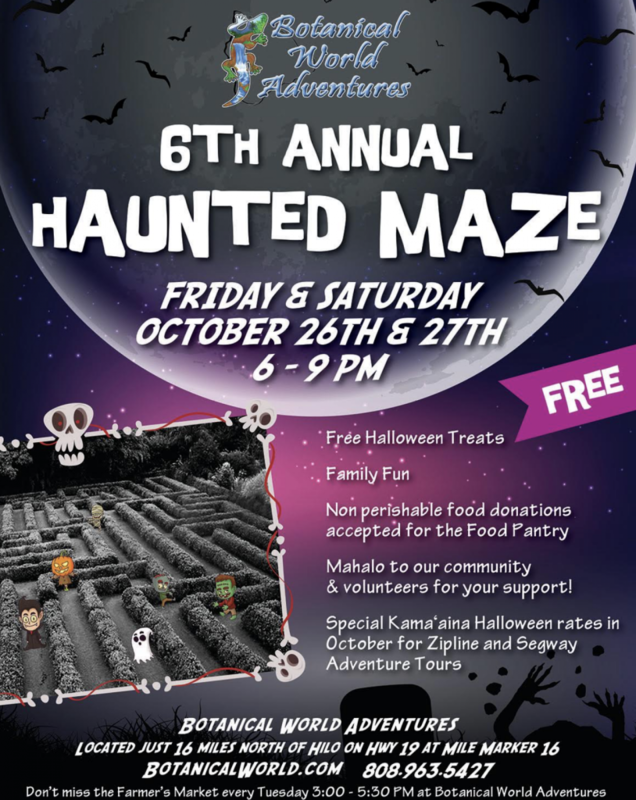 Additional information is available by calling (808) 963-5427, toll-free: (888) 947-4753 and at www.ZipIsle.com or BotanicalWorld.com.